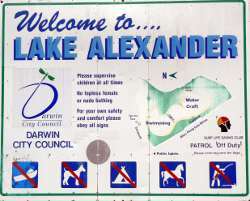 Lake Alexander located at Darwin East Point provides free swimming and playground facilities, with a safe beach, bike tracks, BBQ and picnic areas. 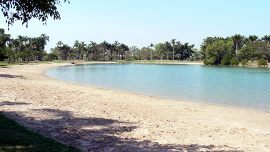 The lake is divided into swimming and sports areas, so swimmers are safe from the kyaks, sailboats and other water sports. 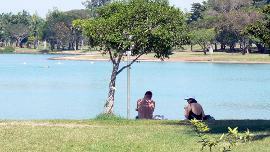 This is safe for swimming all year round. 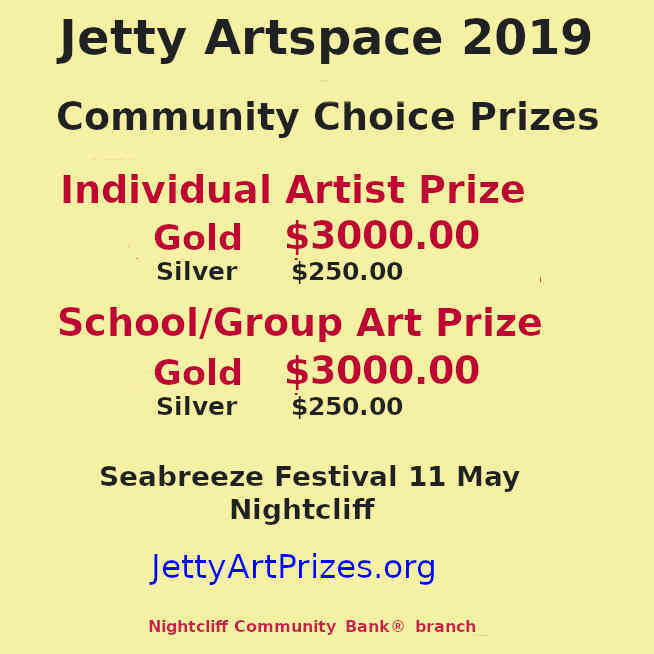 Although the Fannie Bay beach is literally just across the road, box jellyfish and big tidal differences make the sea a less friendly place for swimming. Shady trees and green grass makes this a pleasant place to enjoy the scenery. If you look closely you can see a swimmer out near a row of white buoys which mark the edge of the swimming area. 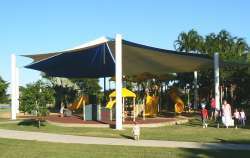 Shady Palm trees and picnic facilities with free BBQ's make this an ideal childrens playground. 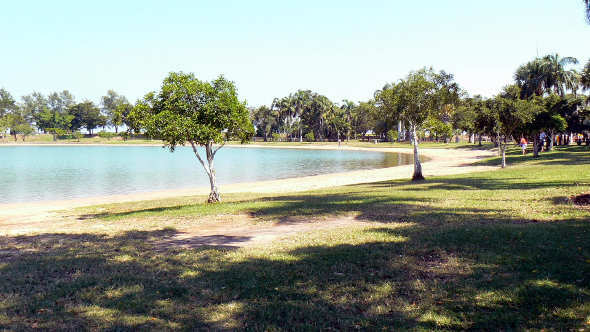 There is plenty of car parking space beside the lake and playground. 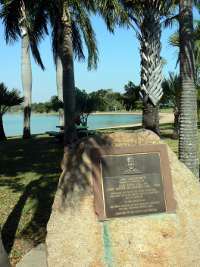 The area is cleaned and maintained by the Darwin City Council with free parking, public toilets and a few rules to keep it a safe place the whole family can enjoy. 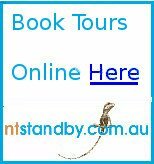 Return from Lake Alexander to Enjoy Darwin Home.